The 6th edition of Miss Global is just around the corner and has created a colossal hype in millions of minds as the finale is going to be held on 11th February 2019 at the Newport Performing Arts Theater, Manila, Philippines. The coronation night will witness the crowning of the new queen by the outgoing queen Miss Global 2017 Barbara Vitorelli. The pageant has attracted heaps of attention as the forty-seven delegates from all around the world are going to represent their respective countries and compete for the esteemed title of Miss Global 2018. The gala night will witness Miss Global 2017 Barbara Vitorelli crowning her successor at the conclusion of the event. Angelopedia chooses its Top 15 Favourite delegates out of which Soriyan Hang from Cambodia is one of them. This stunning beauty never misses a chance to reveal her excellence and talent. This young Cambodian beauty hails from Phnom Penh a city in Cambodia. This diva represented in Miss Global Cambodia 2018 and she marked her victory as she successfully won the prestigious title and after this win, she earned the right to represent her country Cambodia in the grand pageant of Miss Global 2018. 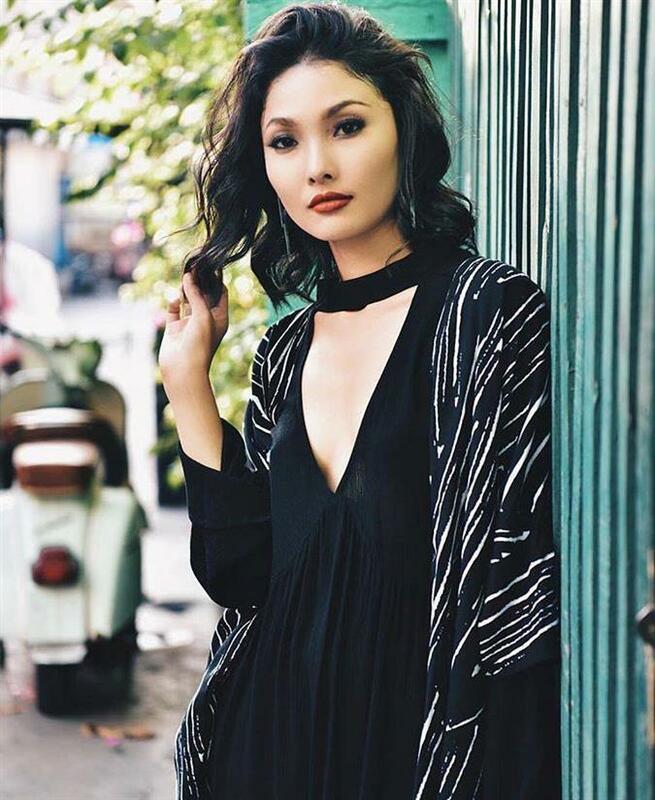 Besides this, she participated in Cambodia’s Next Top Model too, where she threw an outstanding performance and secured her position in Top 4 in the competition. After retrospection, it is safe to say that Soriyan seems to be a combination of beauty with talent as she has been showing her versatility in every way. Angelopedia wishes this beauty all the very best and hopes that with the grace of her talent she touches the sky of success!